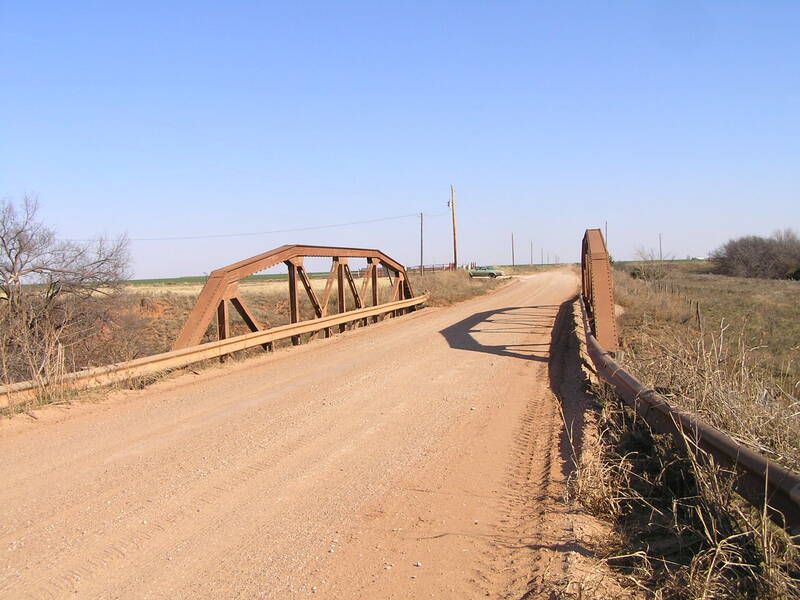 This fine Camelback pony truss carries Noble Road and is just 3/4 miles east of US 281. 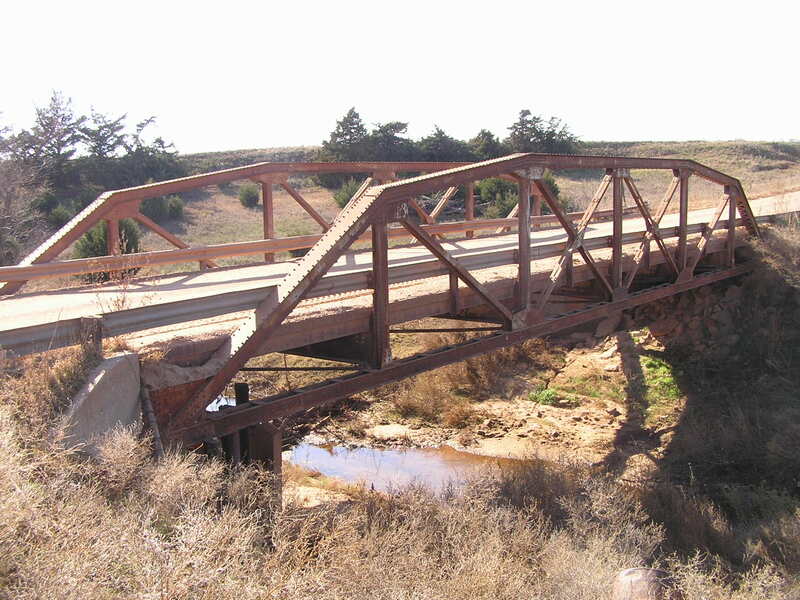 This bridge was built in 1931 and is only 100 feet in length. Above, looking west through the bridge. The deck is 23 feet wide. Below, a view from the side. The deck and stringers all seemed to have been replaced. You can see empty rivet holes in the floorbeams where the stringers once would have mounted. 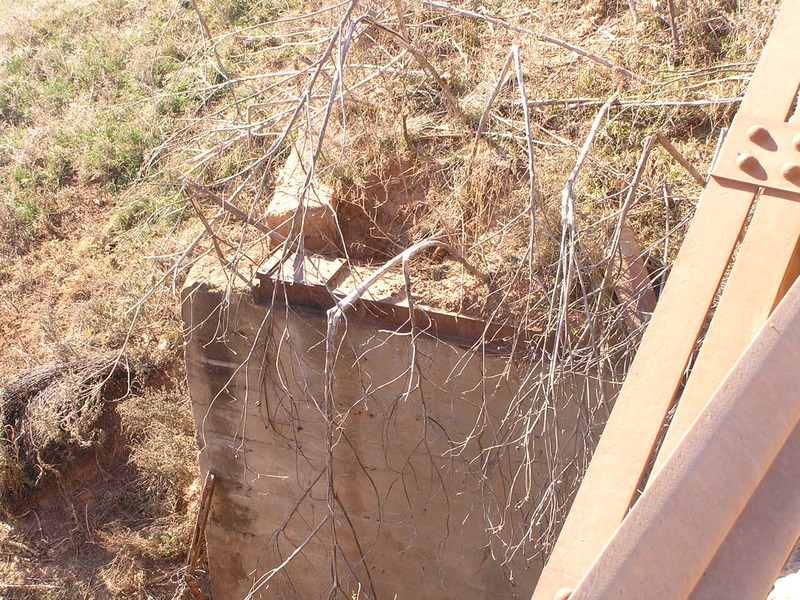 Above, in the previous photo and in this one too you can see abandoned substructure from a previous bridge. Below, a final view looking east. 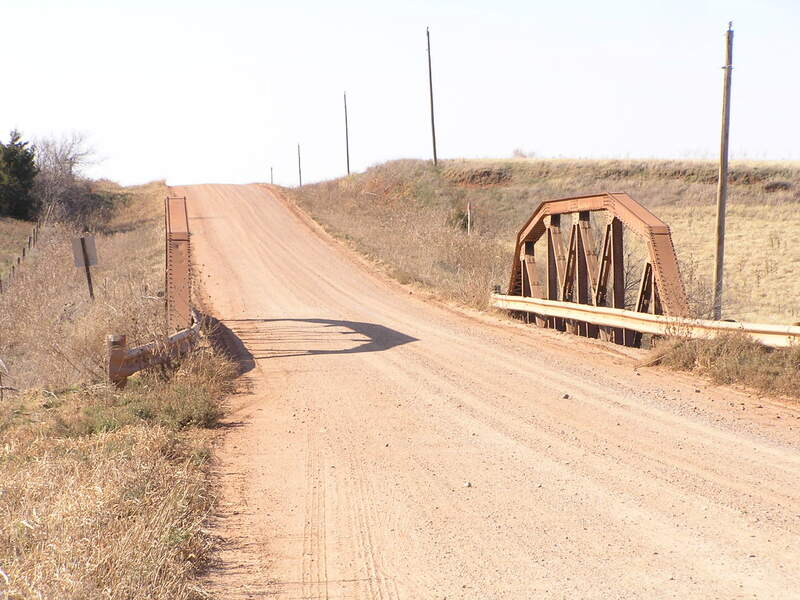 This bridge, overall, appeared in good shape and may have been moved to this location.